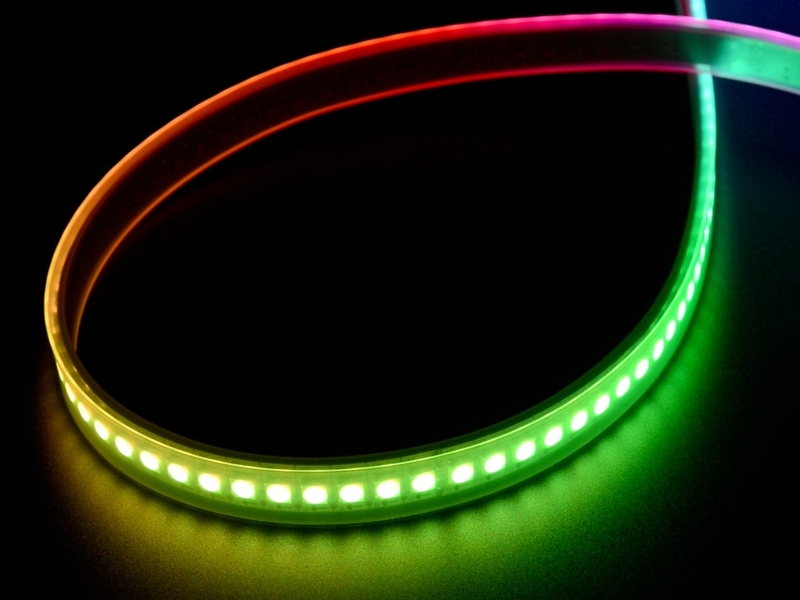 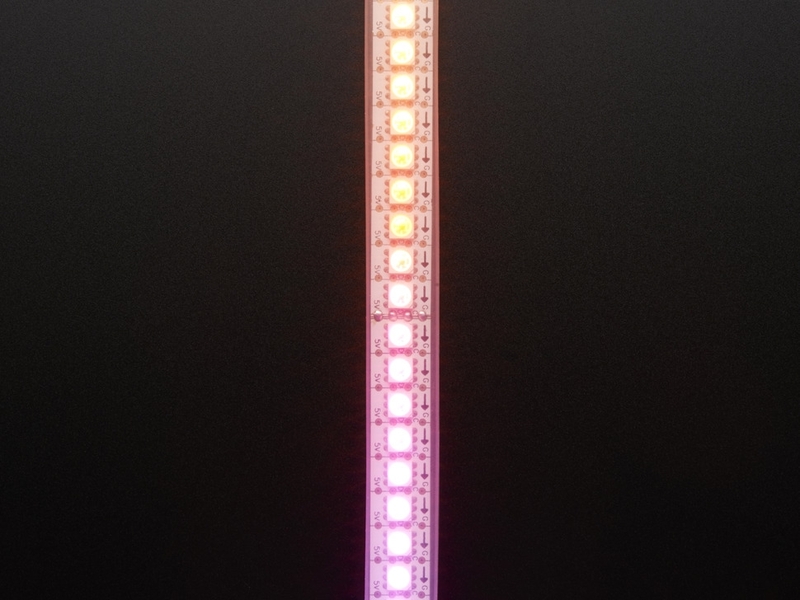 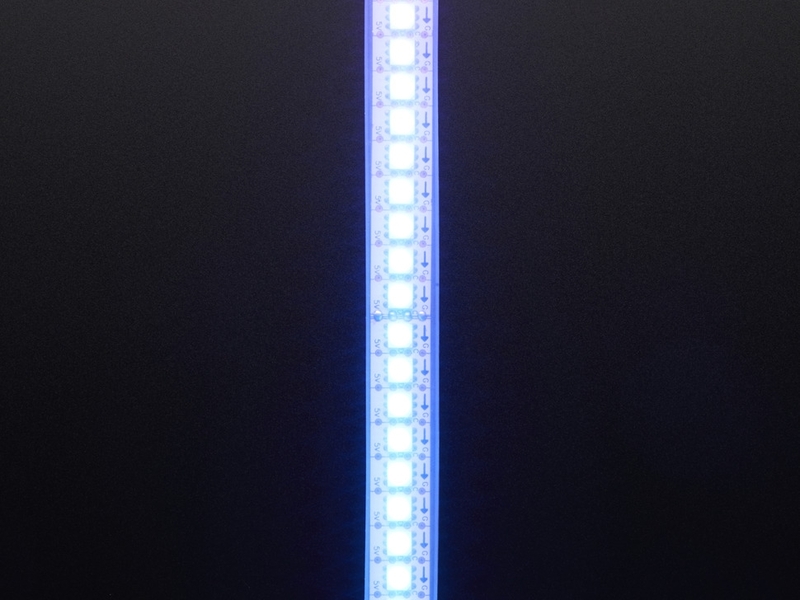 This is half a meter of the 144 LED-per-meter version of our DotStar strips, on white flex PCB. 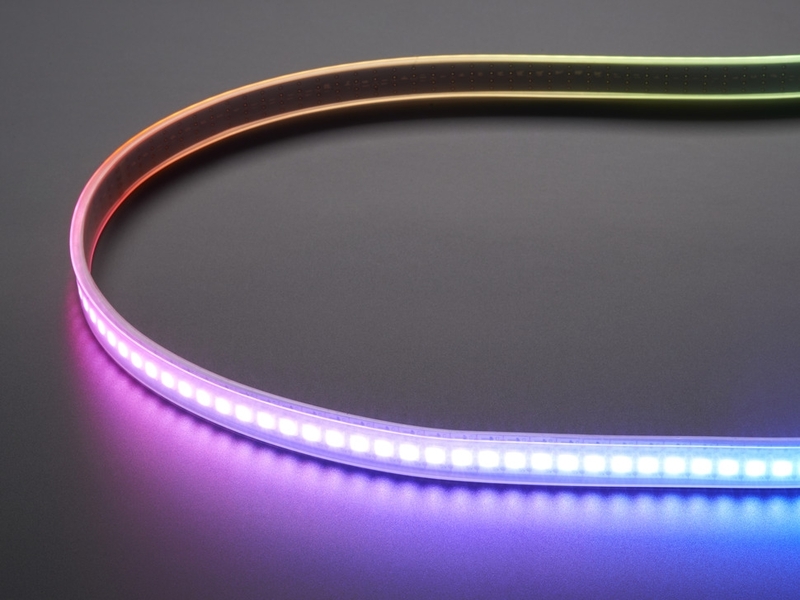 This strip comes as a single half meter with a 4-pin JST SM connector on each end. 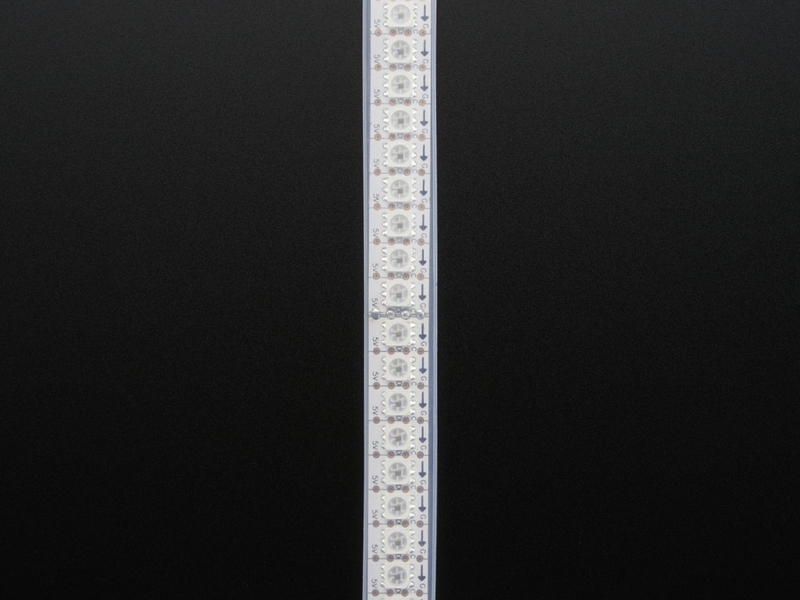 If you buy multiples, you will get multiple half-meter strips, they will not come on a continuous strip! To wire up these strips we suggest picking up some JST SM plug and receptacle cables for the signal wires. 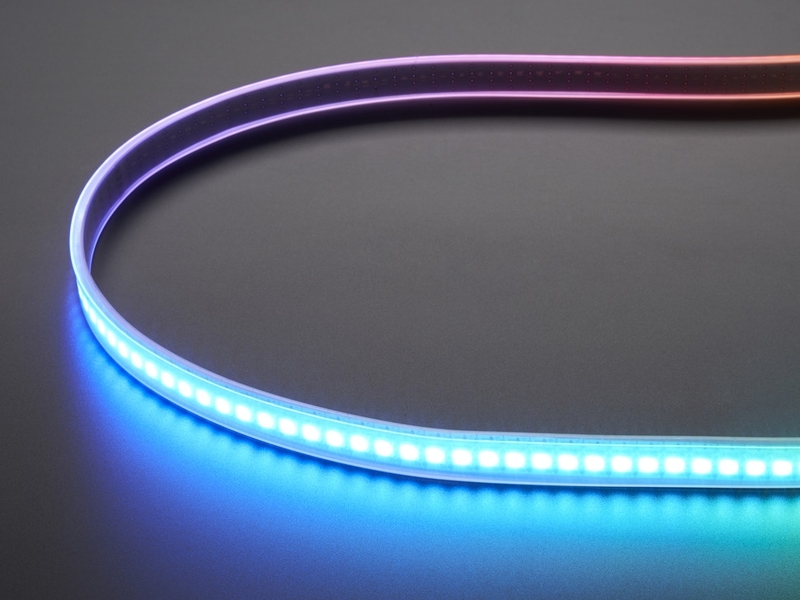 For the power wires, you will also probably want a 2.1mm DC jack to wire in so you can connect one of our 5V wall adapters to power it.